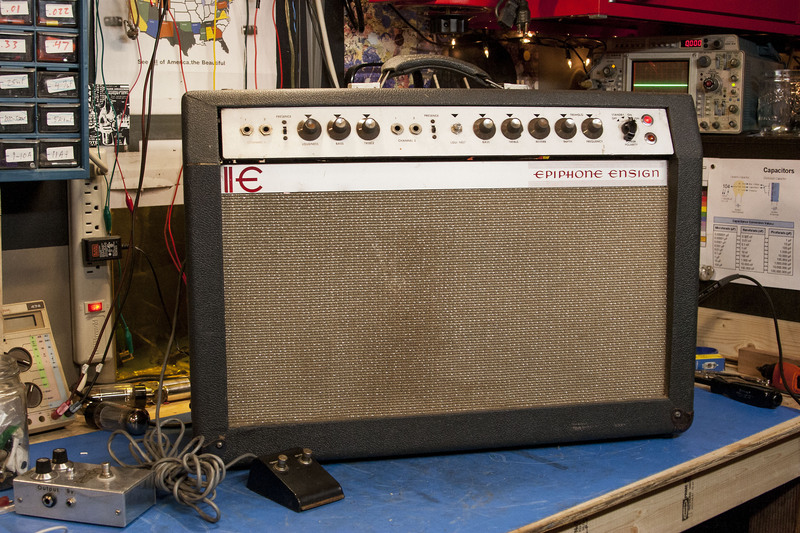 Epiphone Ensign EA-14 RVT from mid 60s-ish. Funny rats nest but hey. Had been partially recapped in the past but now needed the job completed so I threw in some F&Ts. There was a problem with the tremolo too but unfortunately I don’t remember what I did to remedy it. Has two channels with one being essentially plain and the other having tremolo and reverb. Does 50W with two 6L6GCs in the output. The preamp uses 6EU7s so sometimes you will see the tube sockets re-wired to 12AX7 pinout. Has that old school bright switch sound that is too bright to deal with for most people of this era. Here it is called presence. 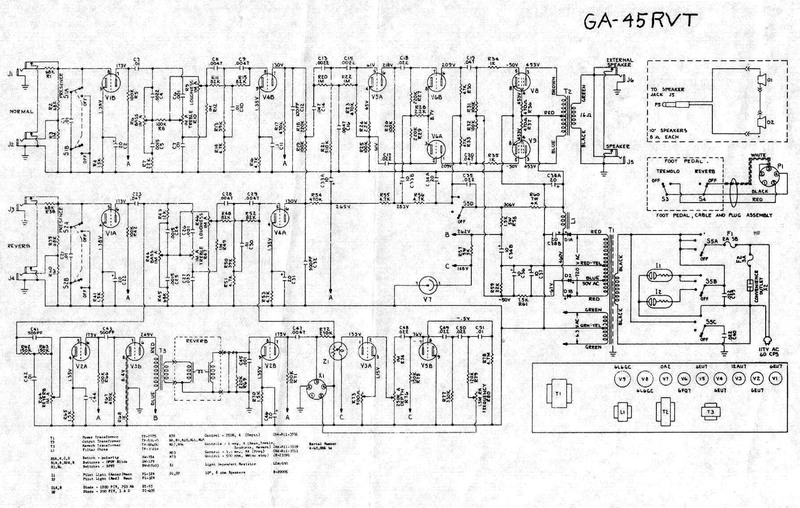 Closest schematic is I believe Gibson GA-45 RVT. 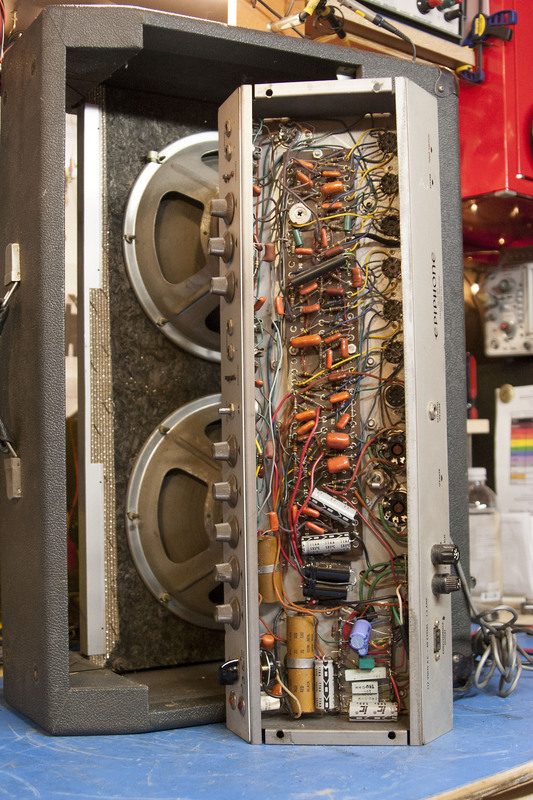 Can be tricky business with those old Gibson and Epiphone schematics.